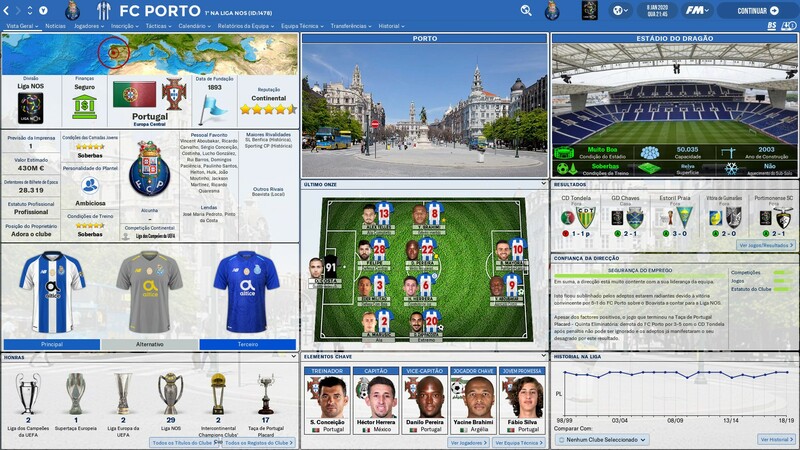 This is the FLUTSKIN – Light Version 1.8 for FM 2019. This is the FlutSkin for FM19. I tried to keep it similar to the latest version of Flutskin for FM18. Thus, I will not present you all changes regarding the default skin for FM19 but there are many of them. If you don't know FlutSkin yet, try it. I think you will not be disappointed. You should see FM 2019 Flut Skin light - Version 1.8 as an option in the skin drop down of the Overview box. 201 comments have been posted so far. You also can resize that files for 220x160 (they are too large now and I forgot to delete it or resize it). Regarding the second one: what is that panel? Hi panzerM: I will try to fix that bug. However I only can do it when my game will be in the end of the season since I suppose that panel is showed only in the end of a season. Am I right? This skin is by far the best I´ve tried this year ! Crisp, clean, nice fonts and most important a super nice match screen ! Tobe: please read the thread. I think I already answered that question. How do I get the stadiums in the player face box? Hi Doddo04: many thanks for your support!! thanks flut for the best skin for fm!!! Edit: Forget that - just realised the pop-up is coming from Genie Scout! In this case, you can see it has stretched across to my second monitor. the player has nothing to do with my club nor have I clicked on him - the pop-up just appeared out of nowhere. I have turned off profile pop-ups on hover in the settings but it keeps happening. I have done the usual clear cache/reload skin etc but it comes back. It doesn't seem to happen with other skins. selcukklnc: I know there are some “bugs” reported that arise only in some computers (like that one regarding not saving the positions panel in the player overview panel). In that cases I can’t help, since everything is okay in my game/computer. Bandes: thanks and sorry but I didn’t understand your question…could you please explain a little bit more or put a screenshot? MUFC30: thanks. Regarding your problem, use the 2dkits pack specially prepared for the skin. You can find the link in the skin information in the top of this thread. arsenalthebest. : Regarding the background, I don’t know what happens in your game, since in my game the background is okay. panzerM I did all the things you said in the right row but nothing is changed. I think Flut should try to solve this because I tried several things, too but there is no change again and again. Also, this situation is just for the players at our team. The other players screen is stable but our team players screen is not. @panzerM It's not working for me. In my preferences, use cache option was ticked. I unticked it and reload skin but there is no change. Handcrafted in Symi, Hellas. Page created in 0.604 seconds.